How far could the great pianists stretch their hands? 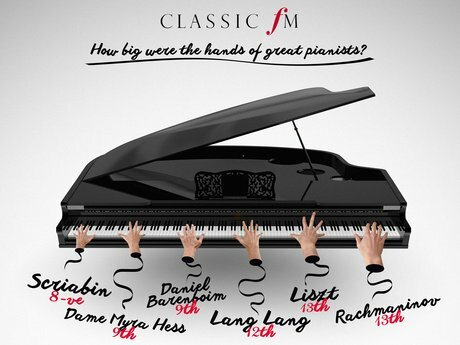 We take a look at just how big the hands of the star virtuosos were, from Rachmaninov to Liszt and Barenboim to Lang Lang. 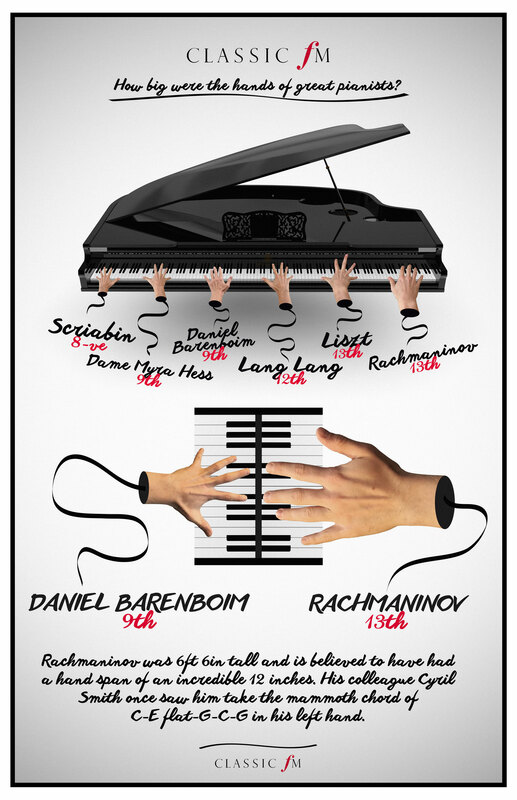 Did you know that Daniel Barenboim, one of his generation's most respected pianists, can manage to straddle a 9th on the piano, where the likes of Rachmaninov and Liszt could handle a whopping 13th? We've put together an infographic to show you just how far some of history's keyboard greats could stretch their ivory-tinklers - from the surprisingly tiny to the majestically huge (we're looking in your direction, Sergei).